Add a little old-timey charm to your home with this Newport eight-seater dining table. 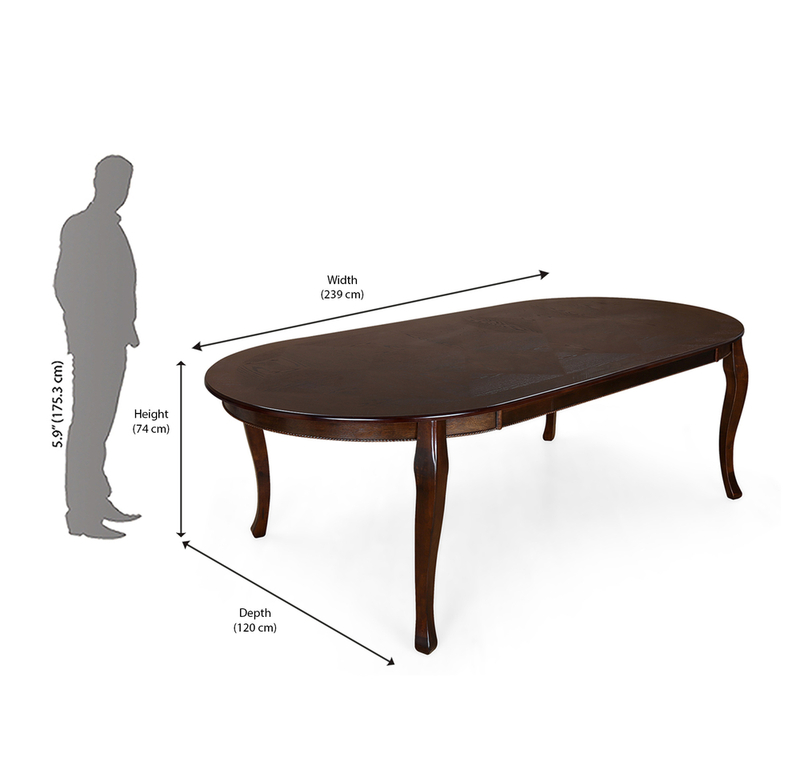 With a smooth finish to the classic design, the curvy edges and oval tabletop keep it classy and elegant. The dark cappuccino finish lends itself well to different kinds of décor styles- antique, classic and modern. Crafted with solid wood, it ensures it will stay with you for years. Complement it with classic chairs to complete the look. Make the look perfect for everyday family meals or for special times when friends come over.